I enjoyed this book a lot more than I did the previous one in the series. For me it really took a few steps away from the cliche and became its own story. 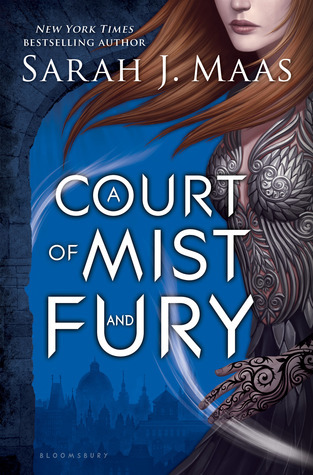 A Court of Mist and Fury follows Feyre after the events of under the mountain as she tries to adjust to life with Tamlin now that the threat of war with the country across the sea is the largest threat. Feyre also has to make good on the deal she made with Rhysand in the previous book and stay with him. This leads to her (and us) exploring other parts of the land and meeting new people. Both Tamlin and Rhysand are trying to stop the other country from invading in very different ways and Feyre is quite conflicted and confused for the beginning of the book however as she learns more she decides for herself what should be done and helps out a lot. Wow… just wow. This book made me so happy. I really liked getting a look into the other courts and seeing more of the politics. I loved all the new characters that were introduced and it was interesting to see how they all related to each other. The ending… I don’t know exactly how I feel about it. I am excited to see how it is pulled off. Well that was shorter than usual, but I was in the middle of nanowrimo when I finished this book so leave me alone. I liked that this book progressed past the idea of a beauty and the beast retelling. The characters that were introduced are amazing and were so well fleshed out. The ending felt a bit rushed (as with the first book) however this one was a bit better explained. I liked how the relationship between Feyre and Rhysand developed throughout the book. So much happened in this book…I mean honestly wow. I liked how things connected and I could look back at earlier in the book and see how things lined up. I’ve been wondering if I should check these books out. I feel like the last person on earth who hasn’t read a Sarah J. Maas book. Glad you enjoyed this one, though!